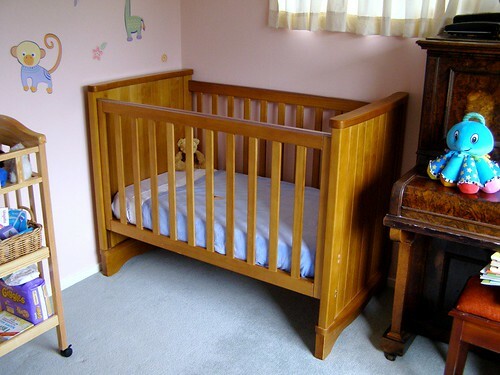 We put the (via TradeMe) cot up today, with minimal conflict, and only had to redo it three times before it was right. We think. It looks nice and we’re very happy with it. It has a few little teething marks, but that just gives it character, really. 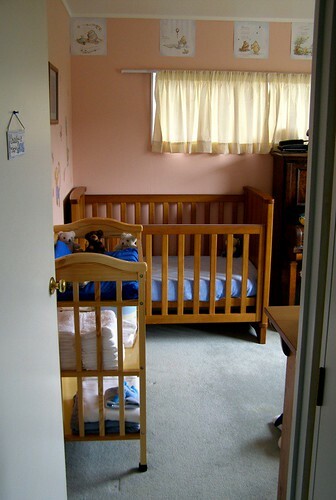 Here are some early photos of the room (we’ll redo them when we get the bookshelf, which is the last part, and tidy things up a bit) and pregnant me and the cute dog. Wow, the room looks awesome!! Sebastian must be so confused, i bet he wonders what on earth is going on. I love the pic of Moggy in the doorway! If looks could kill…. Next Post Help! The videos won't play!